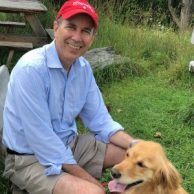 “How much rainforest is in that chocolate bar?,” asked the World Resources Institute in a thoughtful blog several years ago. The answer today is still way too much. Côte d’Ivoire and Ghana, which produce about 65 per cent of the global cocoa supply, have lost 17 and 13 per cent of their forest cover, respectively, from 2001 to 2017, primarily as a result of agricultural encroachment. It is estimated that at least 2.3 million hectares of the Upper Guinean rainforest in Côte d’Ivoire and Ghana have been cleared by smallholder cocoa farmers between 1988 and 2007. In response, the world’s leading cocoa and chocolate companies and the governments of Côte d’Ivoire and Ghana came together in 2017 and signed landmark Frameworks for Action to end deforestation in the cocoa sector. As COP24 gets underway this week, it is timely to take stock: what have we accomplished during the first year of implementation of the Cocoa & Forests Initiative (CFI)? A key priority for 2018 was to translate the high-level commitments set out in the Frameworks into strong governance arrangements and concrete action plans for 2018-2022. Thirty-one companies have now signed the Frameworks, accounting for about 85% of global cocoa usage. National governance structures and multi-stakeholder platforms have been established in each country that bring together all key stakeholders to guide CFI implementation on the ground, including companies, government agencies, farmer groups, and civil society organizations. Côte d’Ivoire and Ghana have developed and publicly disclosed comprehensive new National Implementation Plans. Each participating company is now finalizing a detailed company-level action plan, which will be publicly disclosed in early-2019. The governments and companies have launched critical actions on the ground in 2018 to halt deforestation in the most ecologically important and environmentally sensitive areas. 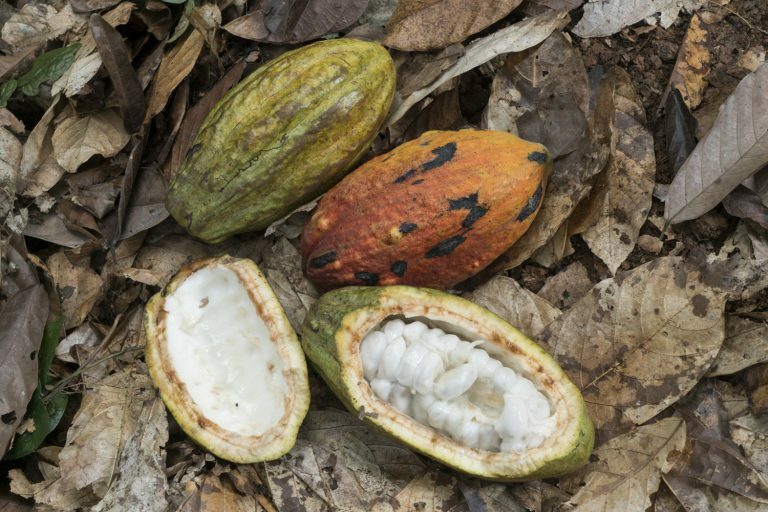 Companies enacted no sourcing policies for cocoa from national parks as of January 1, 2018, and governments are enforcing restrictions related to land conversion for cocoa production. Ghana launched detailed planning for its first Climate-Smart Cocoa Hotspot Intervention Area as defined under the Ghana Cocoa Forest REDD+ Program. 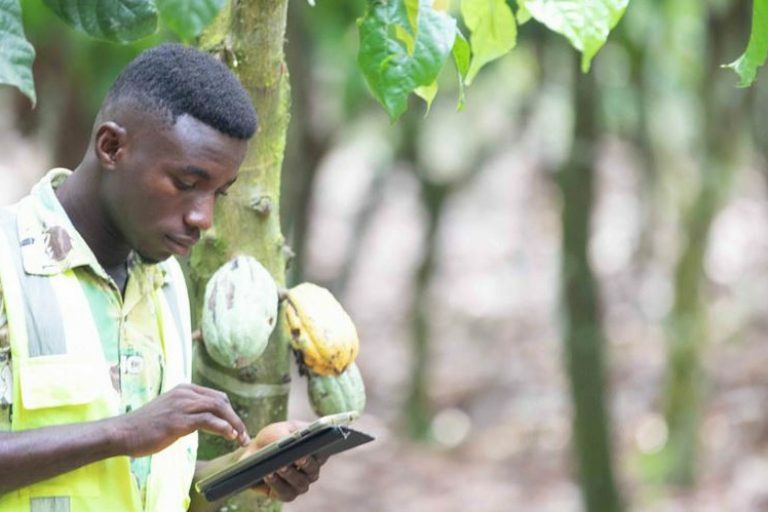 Companies have launched new investments related to mapping of farms, traceability tools, climate-smart cocoa production, agro-forestry development, landscape corridors, community-based landscape management, and payments for environmental services. These actions are already having an impact. In the case of Côte d’Ivoire, an analysis of satellite imagery from Global Forest Watch, Vivid Economics, and Mighty Earth confirms that deforestation rates have started to decline in many national parks and protected forests during the first year of CFI implementation, compared to the previous twelve-month period. On a global scale, the industry is scaling up its commitment to end deforestation throughout the supply chain. CFI has expanded from West Africa to Latin America, with the signing of a new Framework in Colombia in July 2018. While we have made rapid progress in one year, there is still much to do – particularly in rural farming areas outside of protected forests, where poor farmers continue to cut down trees to expand their cocoa farms and earn more income. The environmental damage from smallholder agricultural expansion in rural areas can be avoided through sustainable intensification on existing farms. Under CFI, industry and governments are focused on boosting long-term productivity of cocoa in order to grow ‘more cocoa on less land’ and improve the profitability of farming for cocoa farmers. Key actions include provision of improved planting materials, training in good agricultural practices, and crop nutrition and soil fertility. Continued land tenure reform to strengthen farmers’ land and property rights, and development and capacity building of farmers’ organizations, are critical enabling factors for sustainable agriculture development. Ending deforestation is a complex social, economic, and environmental challenge – we need to protect the people at the same time that we protect the planet. Hundreds of thousands of farmers and their families depend on cocoa farming in protected areas for their incomes and livelihoods. It is critical that we first understand the social impact of our efforts to end deforestation, and then sequence the implementation of actions to minimize adverse social and economic risks for forest-dependent communities. Farmers who currently grow cocoa in protected areas will need viable alternative sources of income to ensure the restoration of their standard of living. Full and effective information sharing, consultation, and informed participation of cocoa farmers in this process is essential. 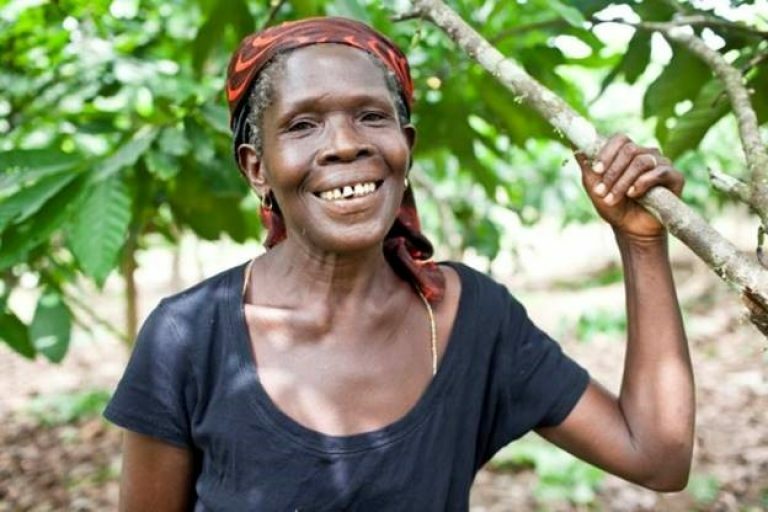 Significant funding and technical assistance will need to be mobilized from international development partners, like the World Bank, the African Development Bank, and the European Union, to ensure that the rights of cocoa farmers are respected, and they are provided with meaningful alternative livelihoods. There is no quick fix to end deforestation. We hope all key stakeholders in the cocoa value chain – from farmers to consumers – will join this long-term effort to ensure that there is no rainforest in your favorite chocolate bar. View the original blog post on the TFA2020 website.